Nowadays, trampolines are becoming an increasingly popular addition to back yards across the US. Whereas years ago you had to go to a specialist gymnasium in order to enjoy some bouncing fun, more and more families are discovering the benefits of owning their very own trampoline. It's impossible to deny that bouncing on a trampoline is incredibly good fun, and kids and adults alike can't resist having a go. However, did you know that bouncing on a trampoline can be good for your health? Trampolining is a great way to keep fit, and improves your cardiovascular health while protecting joints from the impact that comes with many other forms of exercise. Taking all of this into consideration, it's not surprising that business is booming for trampoline manufacturers. North Gear is a company that manufactures a range of trampolines and may be worth your consideration if you are considering purchasing a trampoline for your own family. So, what kinds of trampolines do North Gear make? Are they a worthwhile investment? We've been looking into the North Gear brand, and have compiled all the information you need to decide if they are a good option for you. 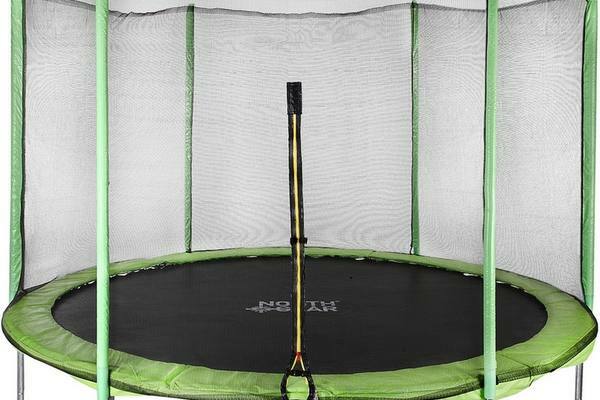 Read on for our Noth Gear trampoline review. Are North Gear Trampolines Good? 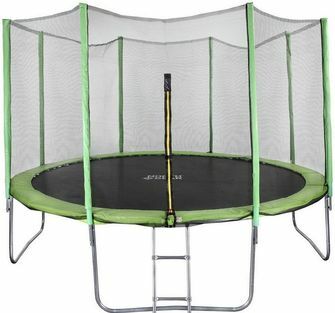 How Is North Gear Trampoline Assembly? How Does North Gear Compare to Other Brands? 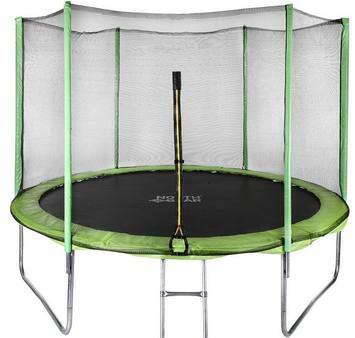 Where Do I Find a North Gear Trampoline For Sale? Galvanised steel frame: This will resist rust and provide a very sturdy base for your trampoline, allowing it to withstand a long period of heavy use. Heavy-duty mesh safety enclosure: The built-in enclosure is an excellent safety feature, ensuring that your family will be prevented from accidentally bouncing off the trampoline and injuring themselves. We especially like the zip fastening, as this closes the entrance of the enclosure securely and prevents anyone from falling out of the door. 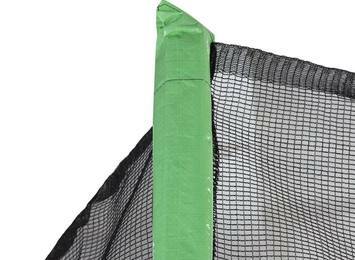 ​Trampoline cover included: This will protect your equipment from the elements when it's not in use. 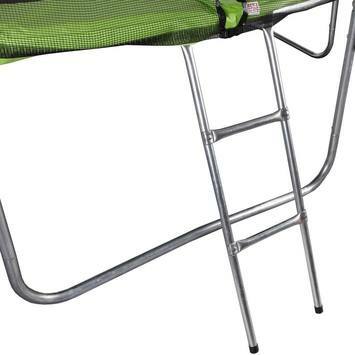 Steel ladder: This makes the trampoline more accessible especially for small children. It helps to guard against any accidents that could be caused by attempting to clamber on or off the trampoline. Highly strong, durable and rust-resistant galvanised steel frame. 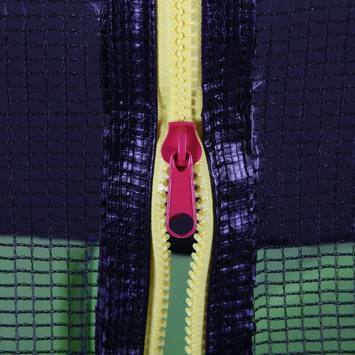 Mesh safety enclosure with zip fastening. Steel ladder to allow easy and safe access to the trampoline. A trampoline cover to protect your purchase from adverse weather and damage caused by sun exposure. Are you very limited when it comes to yard space? Then the North Gear 8 foot trampoline may be the solution. This boasts all the same features as the previous two models, but scaled down. If the larger options sounded appealing but just too big to accommodate in your outdoor space, then this will allow you to enjoy all the same benefits in a dinkier size. If you're beginning to think that a North Gear trampoline sounds like a good option to your family, then you'll want to know if they are high-quality and represent value for money. We've been trawling through reviews and expert opinions to find out whether this brand is worth your investment. 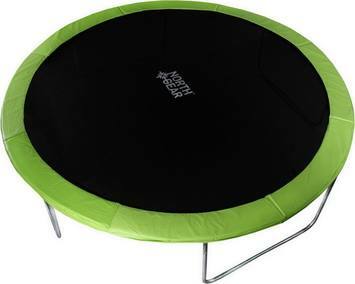 Overall, the reviews of North Gear trampolines are largely positive. Many customers have commented that they are strong and sturdy, and that they have withstood a lot of heavy bouncing use by their kids and held up to the challenge. Additionally, users say they are great fun to use, and have provided their families with hours of enjoyment. However, some customers have reported that their trampoline frames have folded up while being moved and, more concerning, during use. It's unclear whether this is due to a fault with the actual trampoline or error during assembly. That being said, these customers also say that North Gear responded promptly and appropriately to their complaints and took swift action. We love good customer service! By and large, customers say that assembling a North Gear trampoline is not particularly difficult, although some point out it is much easier to do with two people. 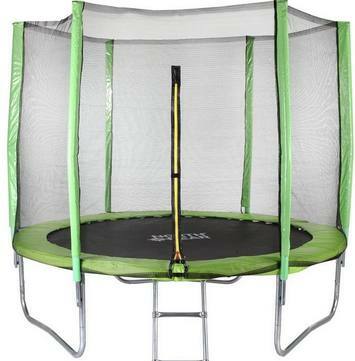 The pricing of North Gear trampolines is broadly in line with that of other comparable models. Like most of the leading brands, it is made from galvanised steel with U-shaped legs, which makes it not only durable and weather-resistant but also stable during use. We are pleased to see that North Gear have chosen to use zips in their enclosure fastenings. This is an advantage over some brands that use Velcro fastenings, as it protects users from falling through the entrance and potentially being injured. The weight limit for the North Gear 12ft trampoline is 264 lbs. The 10ft and 8ft models both have a lower weight limit at 220 lbs. We really love the safe zip fastening on the net enclosure, and this a major improvement on brands that use less-sturdy Velcro in their fastenings. The inclusion of a ladder with the trampoline is a nice touch, and makes sure that children can climb safely on and off the trampoline. We also like the sturdy construction of these trampolines. After all, a trampoline is a major investment, and you'll want to know that it will give you and your family happy bouncing fun for many years to come. We are concerned by the reports of the frames folding during movement and use. We would hope to see North Gear address this issue before we can fully recommend them to our readers. Hopefully, now you've read our North Gear trampoline review, you'll have a clearer idea as to whether these trampolines represent a good choice for you and your family. However, if you purchase one of these models for your back yard, please ensure the trampoline is properly assembled and will not fold when your children bounce on it. Happy jumping!